When you book both Jet Ski & Boat Licence together. 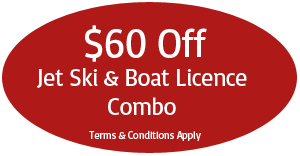 10% off when you mention Jet Ski Boat Licence! Guaranteed to catch Fish, Guaranteed to learn. Book now to receive 10% off your jetski battery.